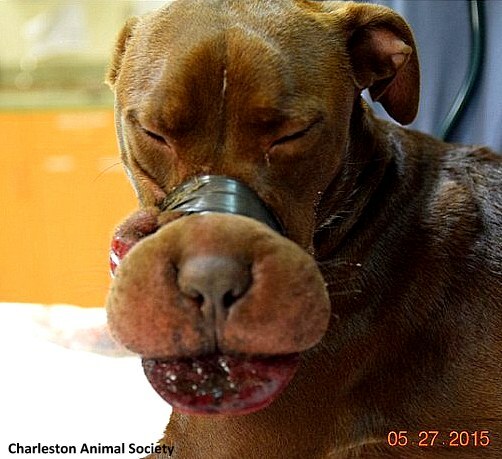 A Charleston, South Carolina, man who wrapped electrical tape around a dog’s muzzle has been sentenced to five years in jail. By now, you’ve likely heard about Caitlyn, the dog whose muzzle was taped so tightly that she risked losing her tongue and suffering permanent damage to her nasal passage. She’s absolutely thriving now, and her abuser was sentenced to five years in prison for what he did to her, to be served concurrently with a 15-year sentence for other crimes. 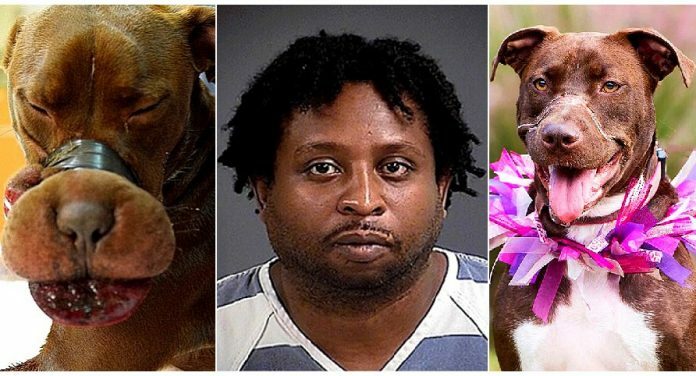 The 15-month-old chocolate pit bull mix was found in June 2015 on the porch of a South Carolina resident who called 911 after seeing what horrible shape she was in. She was taken to the Charleston Animal Society, who got her immediate medical attention. The blood flow had been completely cut off from her tongue, making the situation quite delicate. When the tape was removed, Caitlyn screamed in excruciating pain. It was 36 hours of torment,” CAS spokesman Alwin Roman told the court. Previous articleMilitary Dog Takes Four Bullets To Save Soldiers’ Lives, Watch What One Soldier Does In Return! Next articleThis Man Wore A Dress To His Best Friend’s Funeral. When You See Why, Your Heart Will Break.